The U.S. Food and Drug Administration today allowed marketing of two Trevo clot retrieval devices as an initial therapy for strokes due to blood clots (ischemic) to reduce paralysis, speech difficulties and other stroke disabilities. These devices should be used within six hours of symptom onset and only following treatment with a clot-dissolving drug (tissue plasminogen activator or t-PA), which needs to be given within three hours of symptom onset. The Trevo device was first cleared by the FDA in 2012 to remove a blood clot and restore blood flow in stroke patients who could not receive t-PA or for those patients who did not respond to t-PA therapy. Today’s action expands the devices’ indication to a broader group of patients. 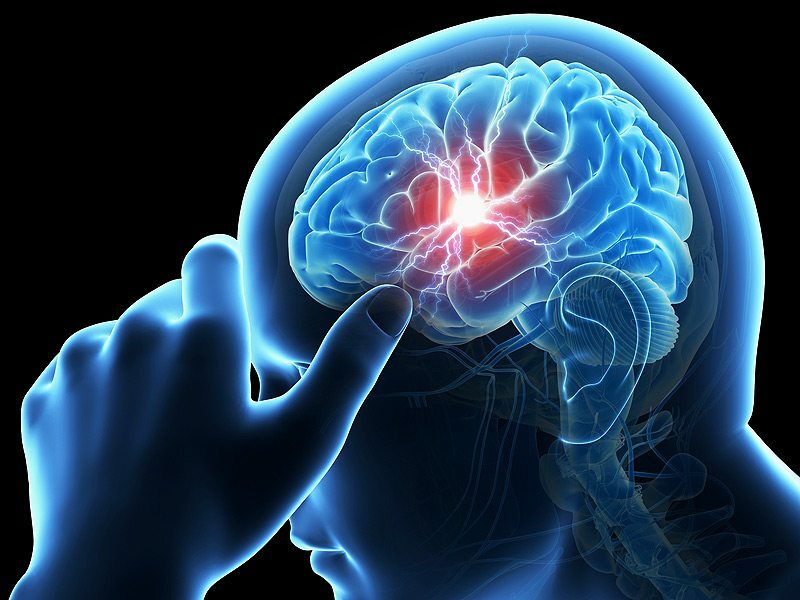 Stroke kills nearly 130,000 Americans each year and is the fifth leading cause of death, according to the Centers for Disease Control and Prevention. About 87 percent of all strokes are ischemic strokes. Until now, the only first-line treatment for acute ischemic stroke was t-PA administered intravenously. The FDA evaluated data from a clinical trial comparing 96 randomly selected patients treated with the Trevo device along with t-PA and medical management of blood pressure and disability symptoms with 249 patients who had only t-PA and medical management. Twenty-nine percent of patients treated with the Trevo device were functionally independent (ranging from no symptoms to slight disability) three months after their stroke, compared to 19 percent of patients who were not treated with the Trevo device. Risks associated with using the Trevo device include a failure to retrieve the blood clot, device malfunctions including breakage and navigation difficulties, which can potentially damage blood vessels and cause perforation or hemorrhage. The FDA reviewed the data for Trevo for stroke treatment through the de novo premarket review pathway, a regulatory pathway for devices of a new type with low-to-moderate-risk that are not substantially equivalent to an already legally-marketed device and for which special controls can be developed, in addition to general controls, to provide a reasonable assurance of safety and effectiveness of the devices. Trevo is manufactured by Concentric Medical Inc. in Mountain View, California. This entry was posted in Health, USFDA and tagged Clinical Research, Clinical Trial, clot causing strokes, clot removal device, Concentric Medical Inc Trevo, FACE Stroke, first aid for stroke, how to detect stroke, how to prevent stroke, Indian Medical Devices Regulatory Review Group, Stroke, stroke clot, Stroke Face Arm Speech Time, stroke FAST, stroke recovery, stroke symptoms, stroke test, stromboli, Trevo, Trevo device, Trevo for stroke, US Food and Drug Administration, USFDA, USFDA approved medicine for stroke. India has begun to bounce back in clinical trials with the new regulations issued at frequent intervals. This has enabled global pharma and clinical research organisations (CROs) to re-consider conduct of human studies in the country, said Naz Haji, SVP and head of India, Indonesia, Malaysia and Singapore operations, Quintiles. “This change in regulations specific to clinical trials is progressive for both Indian companies and its patient population. Big pharma has evinced interest and is comfortable to kick start human studies once again in India which was considered a promising hub until end of 2012,” he added. “However, the government along with the industry will need to reinstate efforts to ensure that the regulatory enforcement system in the country is able to step up the pace of approvals and provide the required clearances in a time bound manner. Clinical trials are important in patient care and therefore we are educating our customers internally that human studies are expected to surge supported by adequate assistance from the Indian regulators,” Haji told Pharmabiz at the sidelines of the DIA Life Sciences IT-enabled business conference held here in Bengaluru. “Our strategy from a company perspective is to capture new opportunities driven by the government’s regulations and create a patient awareness to opt for clinical trials for their medical needs. So long the global companies whose trials constituted a substantial chunk of India’s clinical research business were unsure of India. The lack of regulations and uncertainty on the required approvals were looming large. But now we are convincing them that the environment is conducive and appropriate for clinical trials”, stated Haji adding that all Indian clinical research companies would need to move on similar lines to convince both multinational majors and the Indian patient population. As it stands, regulations in India are adequate to ensure traction in clinical trials. There is enough momentum in the last nine months to ensure the prevalence of a comfort zone. Now with the latest guidance issued the Union health ministry early this month permitting clinical trials at hospitals with less than 50 beds and with no restriction on the number of clinical trials an investigator could take up at a time in the country, are expected to give a big impetus to growth, he said. India is much-sought-after by international drug majors and CROs for human studies. The big benefits in this country are the combination of qualified doctors and patient pool along with the hospital infrastructure. Now with implementation of ICT (information and communication technology), the infrastructure needs are evolving with wireless networks, mobiles, higher-quality video viewing and broader bandwidth connections. For Quintiles too, India is key in its future game plan as we continue to invest in both individuals and infrastructure to serve companies here, said Haji. Furthermore, global pharma and CROs too are beginning trust the reliability on the Indian regulatory system. Another positive for India is that the government itself is reaching out facilitate partnerships and collaborations. “Therefore, this country is bouncing back as it has emerged out of the dark phase of decline in human studies. We foresee 2017 to be more positive as sponsors making a big comeback,” he noted. This entry was posted in Clinical Research, Clinical Trial, CRO and tagged Clinical Trial. Asthma Pill shows massive promise! The first new asthma pill in two decades has just completed its third phase of clinical trials, and not only did patients report instant relief – the pill actually started to repair the lining of their airways. Taken twice daily, the pill was shown to reduce inflammation by 80 percent in people with moderate-to-severe asthma. Researchers from Leicester University in the UK just finished testing the drug, called Fevipiprant, in a phase-III trial. This means it’s already passed phase-I and phase-II trials, which assess safety and severe side effects, and also short-term results on a small group of patients. The trial involved 61 participants, split into two groups. One group was given 225 mg of the drug twice a day for 12 weeks, and the other were assigned a placebo. Both the Fevipiprant and placebos were taken with existing asthma medications, rather than replacing them. The effects were tested via a series of breathing tests, airway tissue samples, and CT scans of the chest, but one of the main aims of the trial was to observe the effect of Fevipiprant on the patients’ airway inflammation – typically measured via something called sputum eosinophil count. As the researchers explain, the sputum eosinophil count measures inflammation by detecting levels of a specific type of white blood cell that’s associated with asthma, and is found in higher levels the more severe the condition. As a baseline, people who don’t have asthma will have less than 1 percent sputum eosinophil count, while those with moderate-to-severe asthma usually have a reading of about 5 percent. “The rate in people with moderate-to-severe asthma taking [Fevipiprant] was reduced from an average of 5.4 percent to 1.1 percent over 12 weeks,” the researchers report in a press release. The researchers say that this progressive effect, plus indications that the drug was actually repairing damaged airway tissue, could allow patients with severe asthma to stop taking strong medications to deal with their disease. “I’m really excited by this because this is the first treatment that I’m aware of that has been able to show effects across the board,” lead researcher Chris Brightling told Denis Campbell at The Guardian. Of course, there’s still a long way to go before we’ll see the drug on the market – if it even makes it. Brightling told The Guardian, “more than two but less than three years’ time”, if everything goes to plan. He’s now preparing for another clinical trial involving 850 patients, and results are expected some time in 2018. Other studies are also reportedly in the planning stages. Let’s hope this drug continues to live up to its promise to give asthmatics a better option – or at least sparks more research in an area that’s been dormant for too long. The results of the trial have been published in Lancet Respiratory Medicine. This entry was posted in Health and tagged Asthma, Clinical Trial, Health, Herbalife, Lancet Respiratory Medicine., science. GLS–5700 works by stimulating the body’s immune system to defend itself against Zika. Synthetic fragments of viral DNA are injected into the skin, prompting the immune system’s T cells to generate antibodies to fight the infection. The news of the vaccine trial comes two months after the US Centres for Disease Control and Prevention (CDC) confirmed the causative link between the infection and birth defects such as microcephaly, and represents the culmination of an intense nine months of vaccine development, during which global fears over Zika’s spread have only grown. It’s worth pointing out that just because GLS–5700 has reached human testing, there’s no guarantee it will turn out to safely immunise people against Zika. The vaccine has been tested successfully in small and large animal models, but clinical trials in humans could take several years to demonstrate that the treatment is safe, and there’s no guarantee it will ultimately prove effective or make it through subsequent testing phases. But fortunately, GLS–5700 isn’t the only Zika vaccine candidate currently in development. An Indian company called Bharat Biotech is researching Zika vaccine development in animals, while French pharmaceutical company Sanofi SA is expected to begin human trials with one of its drugs later this year. In the US, the National Institute of Allergy and Infectious Diseases (NIAID) says it’s expecting to shortly receive FDA approval to trial a separate vaccine candidate it developed itself, which would mean we could have two vaccines in human testing in a matter of weeks. Earlier in the month, scientists from the University of Texas Medical Centre published findings on how a protein called interferon-induced protein 3 could help reduce Zika’s ability to infect brain cells – although clinical trials may be a while away for that particular treatment. Even though there’s a huge amount of hurdles and potential roadblocks facing all of these vaccine trials, there’s reason to have hope. “Always, the first vaccine to go into clinical trial is important,” epidemiologist Anna Durbin from Johns Hopkins University, who is involved with the NIAID vaccine effort, told Jessica Glenza at The Guardian. This entry was posted in Clinical Research, Clinical Trial, Health, Research and development, USFDA, WHO and tagged CDC, Centers for Disease Control and Prevention, Clinical Research, clinical research organisation, Clinical Trial, clinical trial on zika, CRO, mosquito repellent, treatment for zika virus, US Food and Drug Administration, USFDA, zika babies, zika bracelet, zika in california, zika mosquito, zika mosquito repellent, zika symptoms, zika vaccine, ZIKA Virus, zika virus babies, zika virus symptoms, zika virus vaccine.